GRETA VAN FLEET was honored with a Grammy in the "Best Rock Album" category in the pre-telecast ceremony at the 61st annual Grammy Awards, which is being held tonight (Sunday, February 10) at Staples Center in Los Angeles. The Michigan rockers were nominated for their "From The Fires" EP. 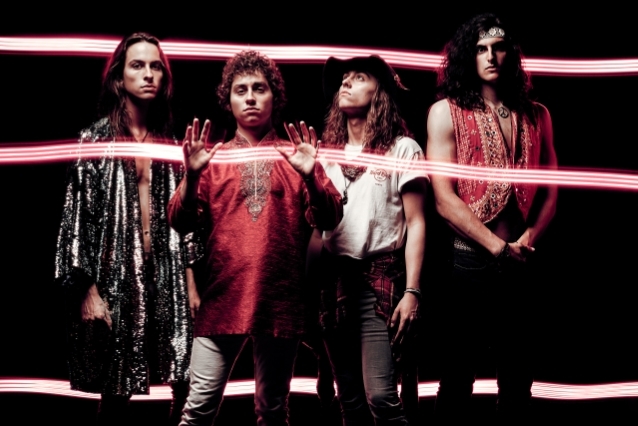 GRETA VAN FLEET was nominated for four Grammy Awards, one for each major rock category — "Best Rock Album", "Best Rock Song", "Best Rock Performance" — and a "Best New Artist" nod. Asked which of the four awards the band most coveted, guitarist Jake Kiszka told the Associated Press: "I think best album and best performance would be some of the more highlighted categories I'd like us to win. It seems to me the best new artist is sort of a cursed category." Pressed about whether that meant that they wouldn't accept it, he said: "We'll accept it. That would be rude."